I have had time to mess around with Barbie clothes though because I can do that by hand in front of the TV in the evening after the kids go to bed. 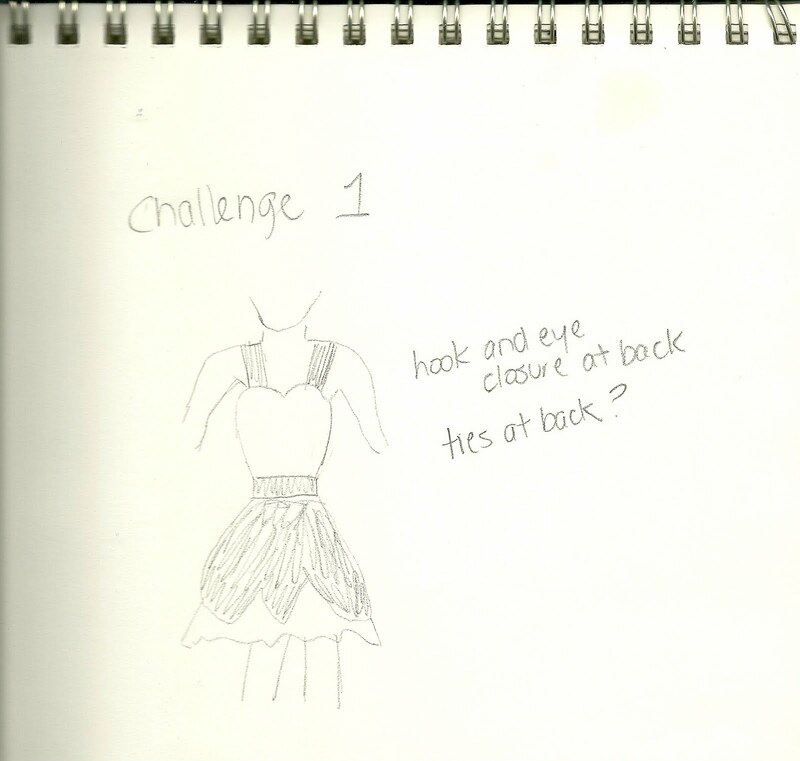 The week one challenge for Project Project Runway is Come As You Are. We were allowed to use a white piece of fabric to simulate a Barbie sized bed sheet and a piece of fabric resembling our own PJs. Once I gathered my materials, I started sketching. Yeah... I'm a terrible sketcher. Oh well. 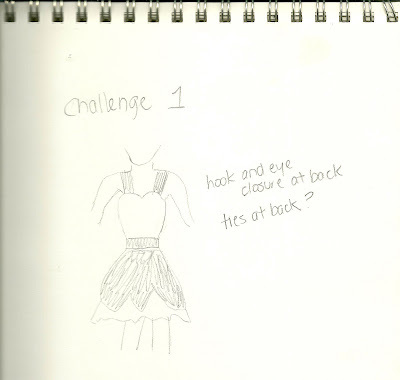 I'm working on making a short dress by combining the two pieces of fabric. Here's the start of the skirt. So tiny! I am a Barbie clothes noob. I never really had Barbie's when I was a kid and I bought Aurora without clothes, so I have no idea what to use to close the clothes. I tried a hook and eye attachment, but it was extremely difficult to open and close. I think I'm going to go with a tiny snap. Anyone else have some ideas? For clarity RE: ribbons, I mean like, on halter tops or dress straps, that kind of stuff. IDK my brain is mushy. Stupid vodka. I was also thinking ribbons or ties would be great. For this project of course I started sewing the skirt and then realized I had no way of closing it.